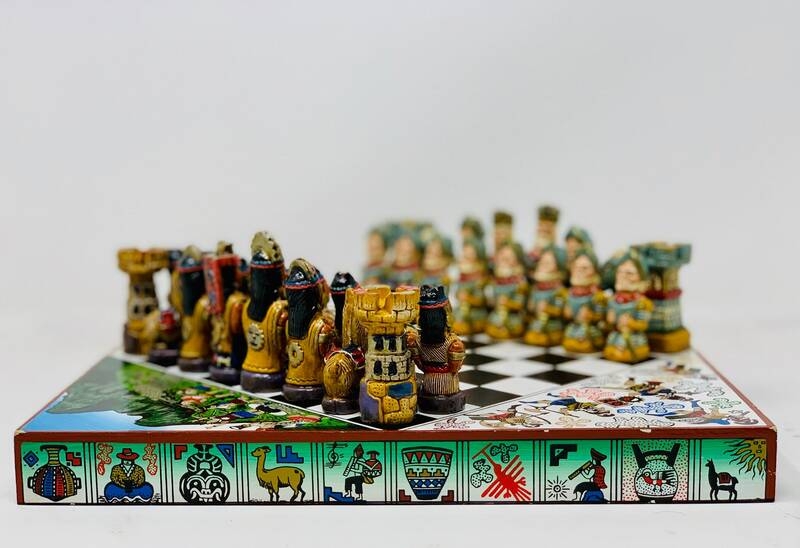 Chess of America's decovering of struggle between Europeans and Native Americans. 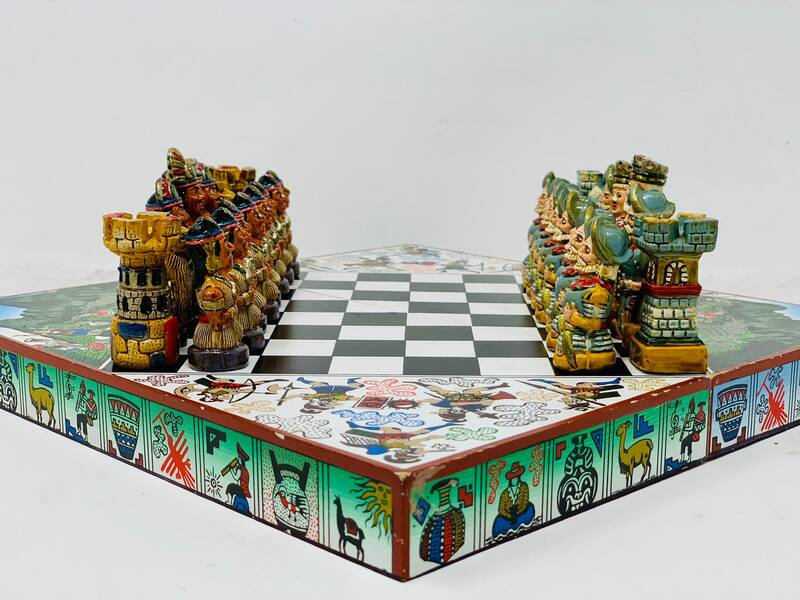 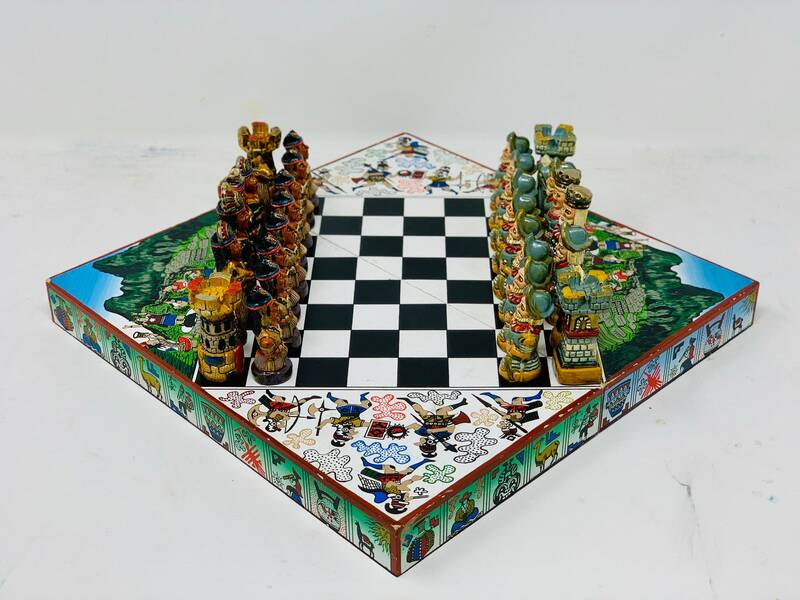 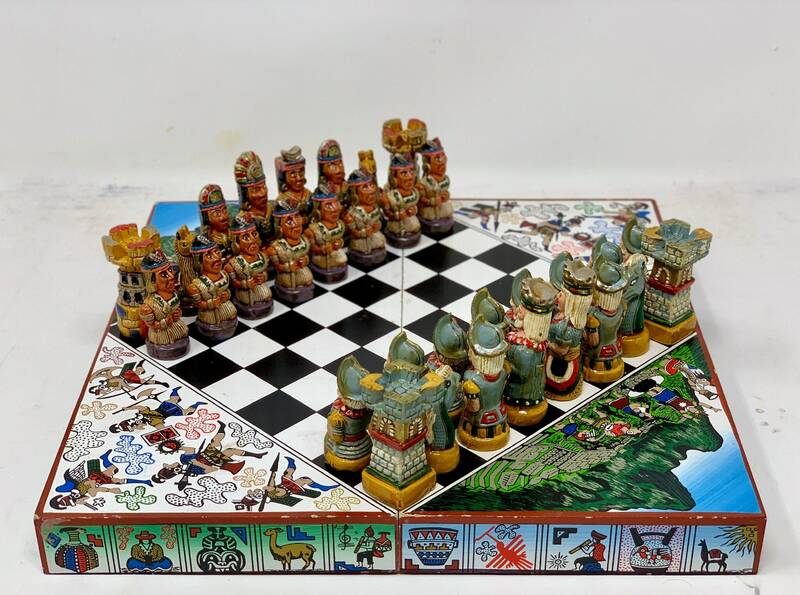 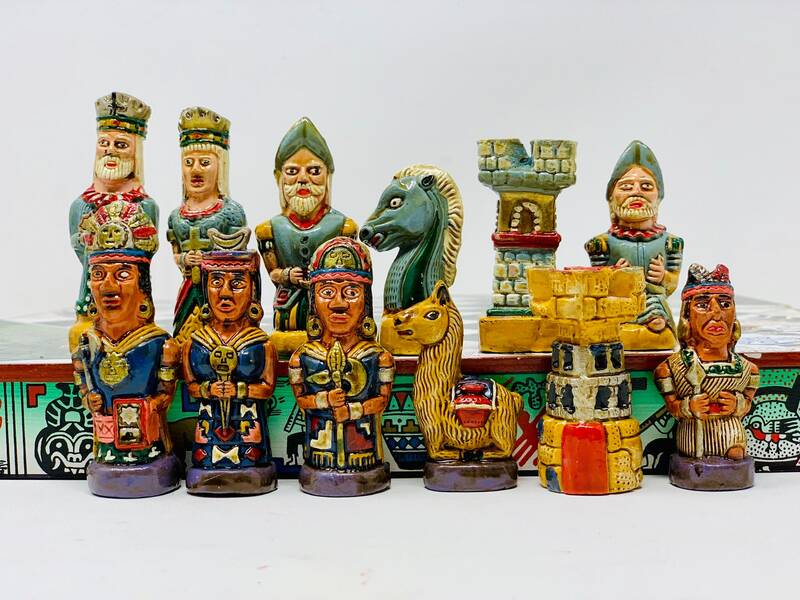 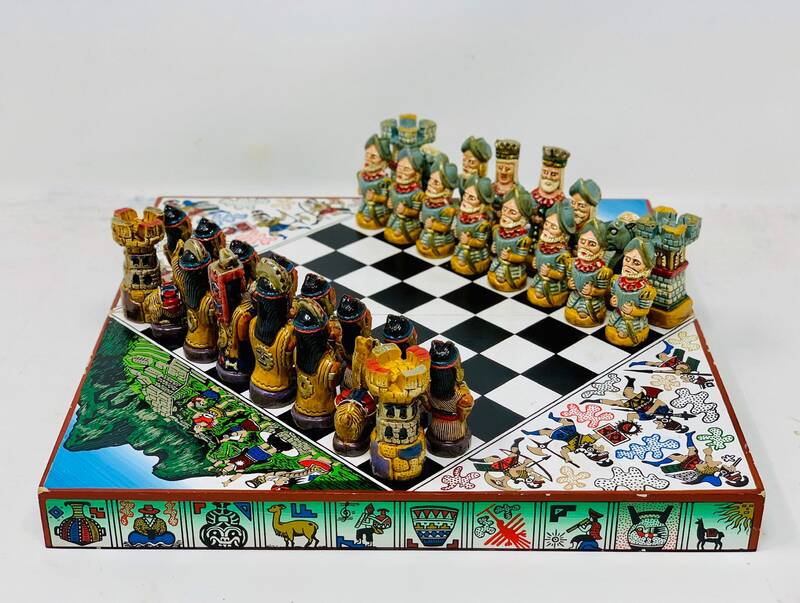 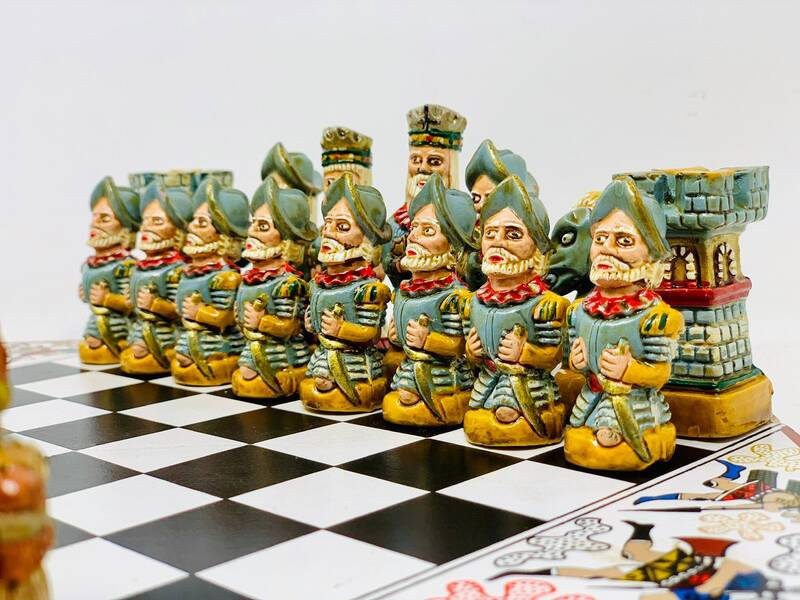 All the chess is craft whose pieces are ceramic painted in vivid colors and the board is foldable wooden to house the pieces. 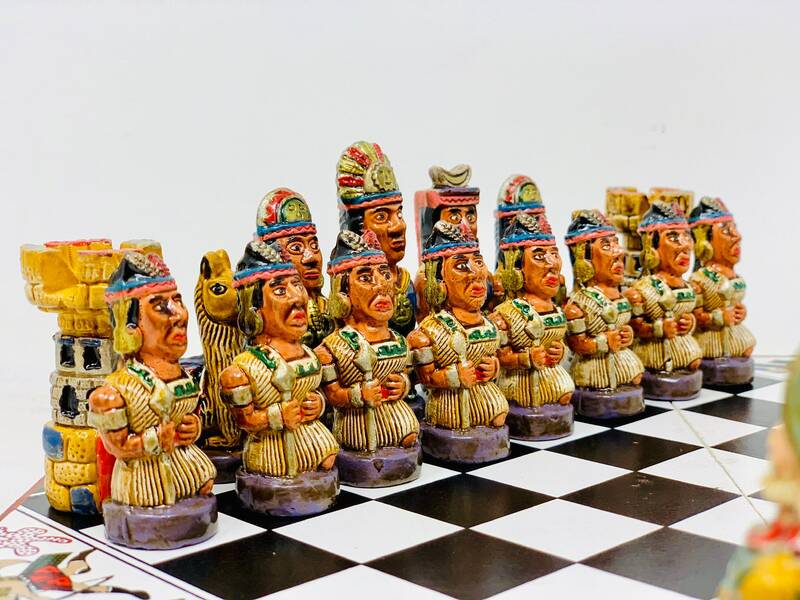 An exhibition set of Bella Invoice.